Two Kalamazoo College events coming soon will give students new experiences and learning opportunities in the sciences. First, Brendan Bohannan – a professor of environmental studies and biology at the University of Oregon – will present a keynote address titled “Host-Microbe Systems: a Rediscovered Frontier in the Life Sciences” in the annual Diebold Symposium from 4 to 5 p.m. Thursday at 226 Dow Science Center. J.A. Scott Kelso will provide the Tourtellotte Lecture at 5:30 p.m. May 7 in 103 Dewing Hall. The Diebold Symposium offers senior biology majors a chance to present their Senior Individualized Projects (SIP), regardless of their SIP discipline. The event is dedicated to the memory of Frances “Dieb” Diebold, who was a member of the Kalamazoo College Biology Department for 44 years. Bohannon focuses on understanding the causes and consequences of microbial biodiversity. He began his research career studying microbes in non-host environments such as soil, water, air and built environments. However, over the past 12 years, his group has focused more on the microbiomes of humans and other animals including fish, birds and primates. Then, the Kalamazoo College Physics Department will welcome J.A. Scott Kelso, of the Center for Complex Systems and Brain Sciences at Florida Atlantic University and the Intelligent Systems Research Centre at Ulster University in Northern Ireland, for the Tourtellotte Lecture at 5:30 p.m. May 7 in 103 Dewing Hall. The lecture will explain some fundamental governing laws behind the behavior of complex physical, biological and social systems. For most of his scientific career, Kelso has studied human beings and human brains, individually and together, and how they coordinate their behavior from cells to cognition to social settings. Since the late 1970s, his approach has been grounded in the concepts, methods and tools of self-organizing dynamical systems tailored to living things, a theoretical and empirical framework called Coordination Dynamics. From 1978 to 1985 Kelso was the senior research scientist at Yale University’s Haskins Laboratories in New Haven, Connecticut. Since then, he has held the Glenwood and Martha Creech Eminent Scholar Chair in Science at Florida Atlantic University (FAU) in Boca Raton, Florida, where he founded The Center for Complex Systems and Brain Sciences. 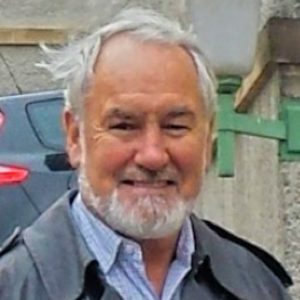 Kelso has held visiting appointments in Moscow, Stuttgart, Lyons and Marseille, and is an emeritus professor of computational neuroscience at Ulster University in Northern Ireland. This entry was posted in News Stories and tagged biology, physics, SIP, . Bookmark the permalink. 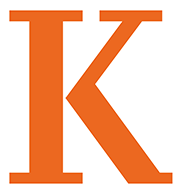 As the Director of Media Relations and Online Content, Andy shares the stories that distinguish Kalamazoo College through social media, the Web and the news media. Contact him at abrown@kzoo.edu.